The world's foremost expert (E.O. Wilson) on ants chose to study ants because when he began his entomology career in 1947, insect pins were hard to come by due to World War 2 metal shortages and unlike other insects, ants were and are still stored in vials, not pinned. 27. In Texas Hold 'em, an Ace-King of any suit combination is occasionally referred to as an Anna Kournikova, derived from the initials AK and because it "looks really good but rarely wins." 28. The American Government tried to instill the values of home ownership in the American people with federal programs in 1917 to prevent the rise of communism as they believed people who owned their own homes had a stake in the capitalist system. 29. The Crypt Keeper has Chucky’s eyes. FX technician Kevin Yagher created both puppets and reused Chucky’s clear blue eyes for the show. 30. In 2002, Sega's president, Shiochiro Irimajiri, gifted all of the $695 million of his own company stock to save Sega from going bankrupt due to the Dreamcast. He died shortly afterwards following an arduous battle with cancer. 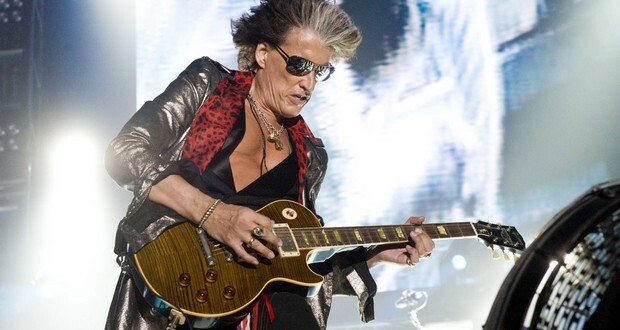 Aerosmith guitarist Joe Perry sold his prized 1959 Les Paul during his divorce and lost track of it until he found Slash in a magazine holding the same guitar. For years Slash refused to sell it back until he finally gave it to Perry as a gift on his 50th birthday. 32. In December 1969, a Korean Airlines plane was hijacked by a North Korean agent soon after taking off from Gangneung. The pilot was forced to fly to and land in North Korea. The crew, aircraft, and seven of the passengers have still not returned. 33. The world's sperm whale population consumes almost as much seafood, by weight, as humanity. 34. In 2013, Margit Arrobio bought a $360 million jackpot Powerball ticket and won the jackpot. The next day, she saw a media report that said that nobody won the Jackpot. When she called the store where she bought the ticket from, she found out that she bought the ticket an hour after the numbers were drawn. 35. Spielberg shot "E.T." in chronological sequence so that kids could mentally deal with the goodbye of a friend. 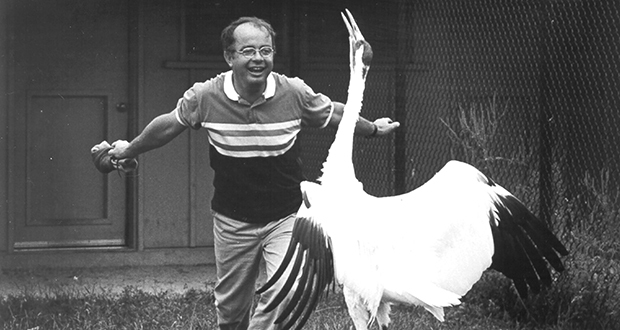 Dr. George Archibald spent 3 years with a highly endangered whooping crane named Tex, acting as a male crane – walking, calling, dancing – to shift her into reproductive condition. Through his dedication and the use of artificial insemination, Tex eventually laid a fertile egg. 37. Urgent Call for Unity was an appeal to defeat the Nazis. It was signed by German scientists, authors, and artists in advance of the German federal election in 1932. The appeal was unsuccessful, Adolf Hitler was appointed the chancellor, and the Nazis were able to consolidate power. 38. At the age of 23, a Norwegian army officer named Joachim Ronneberg led a team of saboteurs on cross country skis on a mission to destroy Hitler’s chance at building an atomic bomb. 39. All border collies can be traced back to one dog named Old Hemp. 40. Many university athletes read at an 8th-grade level and the NCAA systematically hides this. The company behind the infamous CueCat had a data breach back in 2000 revealing name, email address, age range, gender and zip code. They gave a $10 Radioshack gift card to everyone affected. 42. Even though Mikhail Gorbachev has been offered to have his notable wine stain birthmark removed, he opted against it as he believed it would be perceived as him being more concerned with his appearance than other more important issues. 43. Bolivia became landlocked in 1904 after losing the War of the Pacific. However, the country still observes the Day of the Sea, "where politicians give speeches and people listen to the recorded sound of seagulls." 44. Air Force One has one more takeoff than landing because President Nixon was aboard when his resignation letter was released by Secretary of State Kissinger. The pilot called to change the call sign to SAM 27000 mid-flight over Missouri. 45. The game Rock Paper Scissors is as old as the Han dynasty (206 B.C. – 220 A.D.). It was also known in Japan as Slug Frog Snake. Due to the popularity of the song “Hey Ya” by OutKast, specifically the line “shake it like a Polaroid picture,” the Polaroid company had to issue a statement informing consumers that shaking the Polaroid picture will not assist in developing the photo and can actually ruin it. 47. A low-tech medical centrifuge was designed out of paper by a physical biologist named Manu Prakash at Stanford University in California in 2016. He based his invention on spinning toy, whirligig. It can reach 20,000 rotations per minute and can be used to separate plasma from blood and malarial parasites. It can be operated with hands without electricity and just costs 20 cents. 48. In 2017, a casino in U.S.A. was hacked into by exploiting a smart fish tank, which wasconnected to the internet. 49. When the first trains came out, their terrifying speed of twenty miles an hour made people think they would suffocate and that women's uteruses would fly out. 50. Since 2015 the Saudi Crown Prince Mohammed bin Salman has purchased a $450 million Leonardo da Vinci painting, a $300 million mansion, and a $500 million yacht.